The Class of 1950's next major reunion - 70 years - will be in 2020. Date: September 25, 2015 at Brewsky's Sports Bar (8528 Park Drive) at 11:30 a.m. 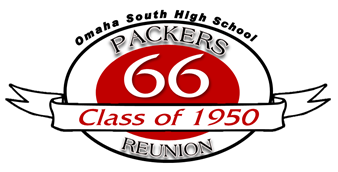 Details: Class of 1950's 65th Reunion / 1st Annual Get-Together Luncheon is set. No reservations needed. Food and drink available for purchase.